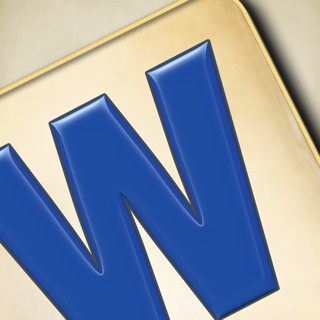 Place tiles, make words, win! This game is not for the average gamer! But if you are looking for challenging, exciting, and addicting gameplay, Babel is the game for you. 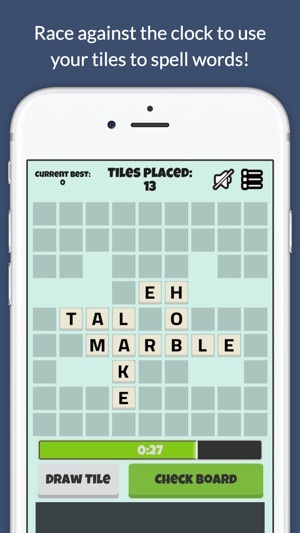 Introducing... Babel - the latest, smash hit word game to reach the App Store. If you enjoy word games, arcade games, or other fast-paced puzzlers, then you need to try Babel now! Prepare for adventure as you use your word building skills to reach Castle Babel. 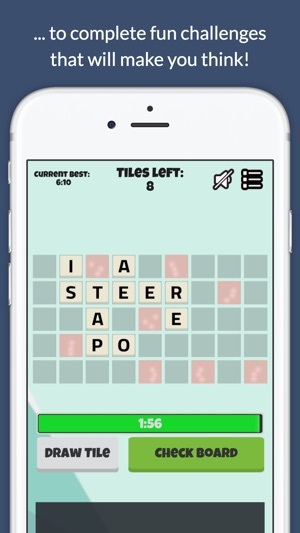 Use your tiles to spell words, solve puzzles, and continuously rearrange your board before time runs out! Along the journey you will encounter unique challenges on different types of boards including flame tiles, sparklers, and many more. 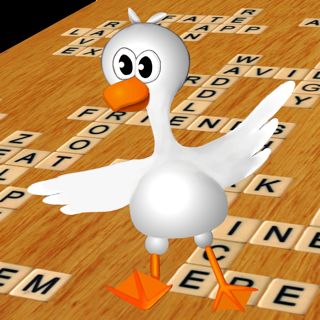 You will also face increasingly difficult levels with trickier letters and harder board layouts. 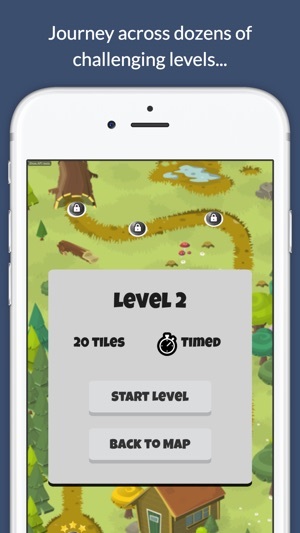 How far will you be able to make it on our little journey to Castle Babel? 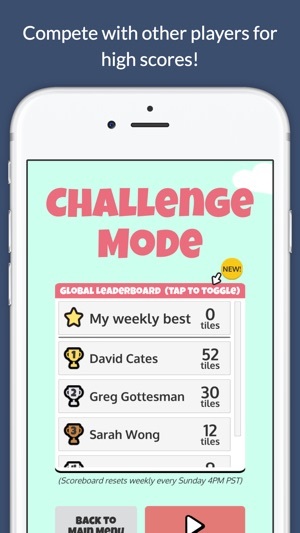 In addition to Adventure Mode, try out the brand new Challenge Mode to compete for high scores with friends and other Babel players from around the world! Each week, there will be a new Challenge Mode puzzle for you to compete with your friends in. Place as many tiles as you can before time runs out! PLEASE NOTE: Babel is completely free to play, but there are optional in-game purchases. 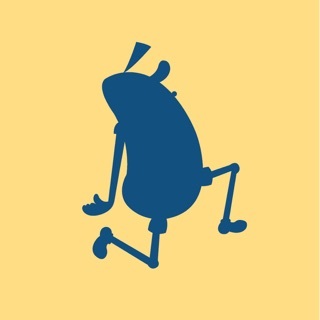 * A game where you can use your BRAIN! 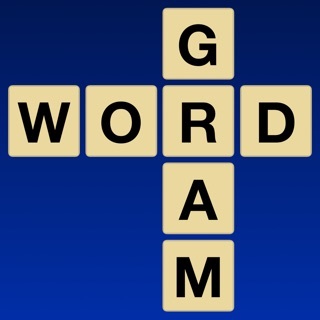 If you're ready to show us your word building skills, click DOWNLOAD now! This update brings some new features to Babel as well as bug fixes for a few pesky gameplay issues. Half the time, the tiles won’t stay where I want them to go, as if the squares where I’m putting them are out of play. But they’re not. And the “watch an ad” function to gain a life doesn’t work. Otherwise a fun game. Just really frustrating when you have a good streak going and you end up losing because the tiles wouldn’t stay. I thought I would be bamboozled by the difficulty, but it was actually a great tool for learning and I'm having fun! I am very pleased and can't believe this is free. This hits my demographic perfectly, I would suggest this to anyone! 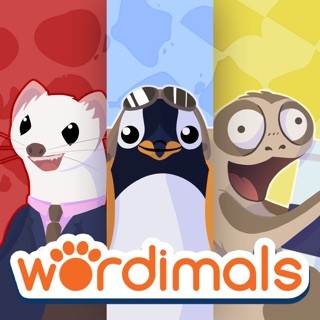 Really fun game, I'm a lawyer and I still have trouble on the later levels. I can't wait to finally beat that pesky last couple levels, but not really as I will be craving more.